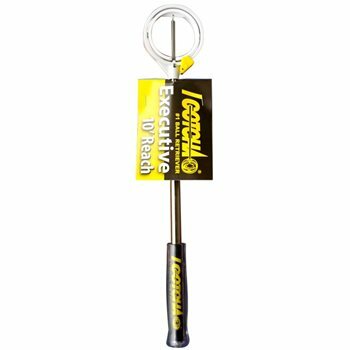 The I Gotcha Executive 10-Foot Ball Retriever is durable, lightweight, extends to 10 feet, and collapses down to fit easily into your golf bag with your clubs. Its tough Lexan head securely traps the ball under any circumstances and is very easy to use. The I Gotcha Executive 10-Foot Retriever will pay for itself over and over again!